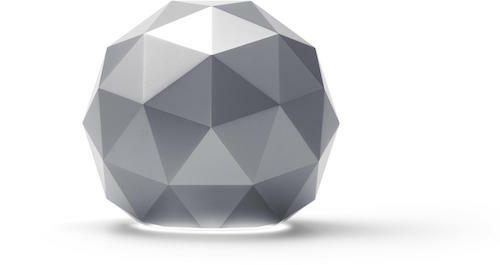 Symantec has released the Core, its first secure router and Wi-Fi hotspot for your entire home that protects all connected devices. Mesh routers are up and coming in the home networking scene, but this one device does it all and adds security on top. This single device is powerful enough to provide speed and signal to stream 4K video and support HD gaming. It has multi-layer, software as a service, cloud-connected approach to security. It integrates Norton Security for Macs, PCs, tablets, smartphones and a secure cloud connection that scans all network traffic. All of this is included in a $279 package that looks nice, even on a table where everyone can see it. The reviewer has been compensated in the form of a Best Buy Gift Card and/or received the product/service at a reduced price or for free. Photos are courtesy of Symantec. The rounded polyhedral Core has triangular facets that are based on Buckminster Fuller’s geodesic design. Around back are four Gigabit Ethernet ports, two USB 3.0 ports, a refresh button and a power port. There is a small area for cords to exit the router and the ports are somewhat close. One of the four Ethernet ports is the WAN port, where the cord that comes from your DSL or cable modem goes and three ports to connect all other devices. Bluetooth Low Energy is built-in to set it up. Beyond the design lies a Wi-Fi powerhouse with integrated antennae. The Core has four dual-band phased antennas inside that provide 360 degrees of 2.4GHz and 5GHz dual-band 802.11ac Wave 2 Wi-Fi coverage, with MU-MIMO streaming technology. All together, the hotspot is a 4×4 AC 2500 router with Beamforming technology. This package comes with one year of Norton Core Security Plus antivirus software and licenses for all of the devices on the network. Additionally, the Core scans data packets for malware, spyware, viruses and botnet attacks via Symantec’s cloud security network. For cameras and other devices on the network that do not have software running on them to prevent security breaches, the cloud security software takes over to protect them. After a year, the Core requires a monthly subscription fee of $9.99. This will keep all software licenses active and network traffic scanned by Symantec’s cloud security network. Their network has over 300 million users that report possible breaches from around the Internet. Currently, the Core does not offer VPN protection. However, it could be a feature that shows up in a future firmware update. Watching the network is done via its free iOS or Android app. Apps for routers have been around for a few years. Symantec has taken steps beyond the ability to make simple adjustments to an entirely new level. 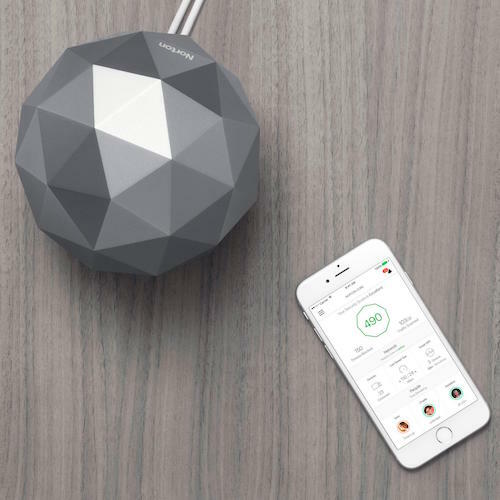 Its clean and intuitive interface makes for setting up the router easy and learning all of its available features possible in about 15 minutes. 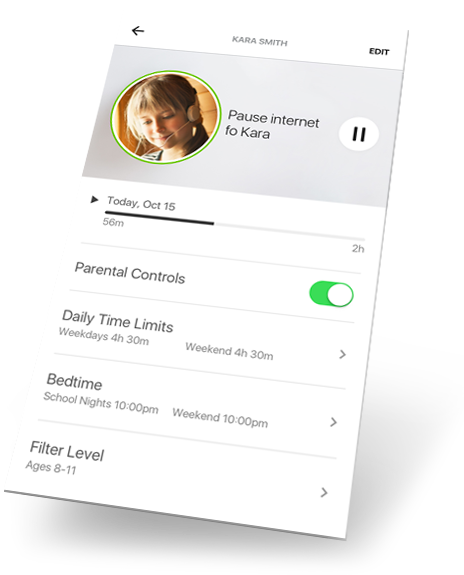 Taking a few minutes to understand what a Security Score is, where to alter the parental controls and create time-limited guest wireless networks; will ensure a smoothly operated Core. On the top left corner of the app, menu options for Home, Security, People, Devices, Network, Settings, and Help appear with one tap. A Security Score is shown under the Security menu and shows which devices may need adjusting to become more secure. Under People, profiles can be set up for controlling daily time limits on assigned devices. Blocked sites can be managed for individual profiles. 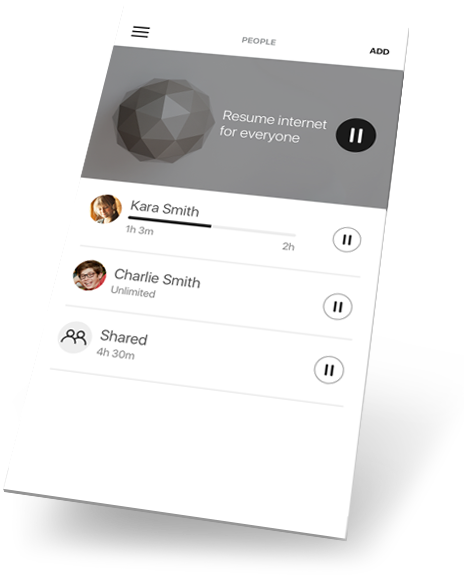 Tap on the Network menu to view Internet speed and bandwidth consumed, which can be helpful for metered connections to ISPs. Internet can be paused under the Devices menu and it shows which gadgets are currently online. 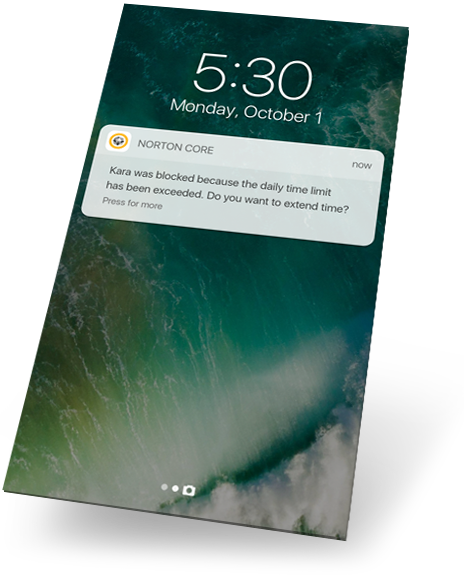 Norton’s Core app is the conduit in which it communicates what is happening on the network. For some, notifications from an app can be annoying. This app only notifies when something important happens, like if the network goes down or when a major security threat is identified. Networking devices, like the Symantec Core Wi-Fi enabled router, are simultaneously becoming more secure and are focusing on ease of use. A monthly fee makes sense past an included year of service. Most single installs of anti-virus software can cost $29.99 or more. 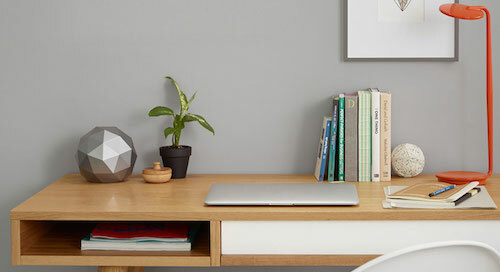 The Core’s speed and ability to handle an entire home’s worth of traffic, makes it a great single device solution to protect everything from PCs, smartphones, tablets and Internet connected security cameras. Get it now from Best Buy at $279.99.